CHICAGO (WLS) -- Lin-Manuel Miranda, the creator of the musical "Hamilton," will be appearing at the Chicago Humanities Festival this fall. Miranda will be taking part in a conversation with Chicago Tribune theater critic Chris Jones from 6-7 p.m. on Sept. 23 at the Lyric Opera of Chicago, 20 N Upper Wacker Dr.
Tickets cost $32 for members of the Chicago Humanities Festival, $40 for the public and $10 for students and teachers. Tickets go on sale for members at 10 a.m. on Aug. 31 and at 10 a.m. on Sept. 6 for the general public. For more information and tickets, visit tickets.chicagohumanities.org. 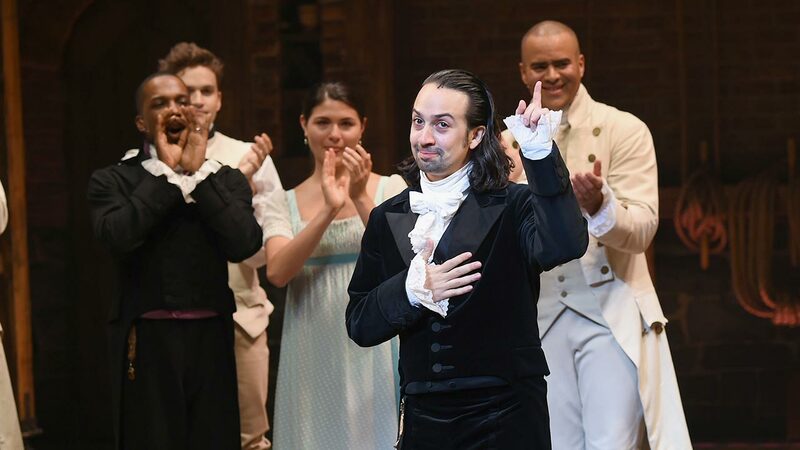 "Hamilton" opens in Chicago on September 27.